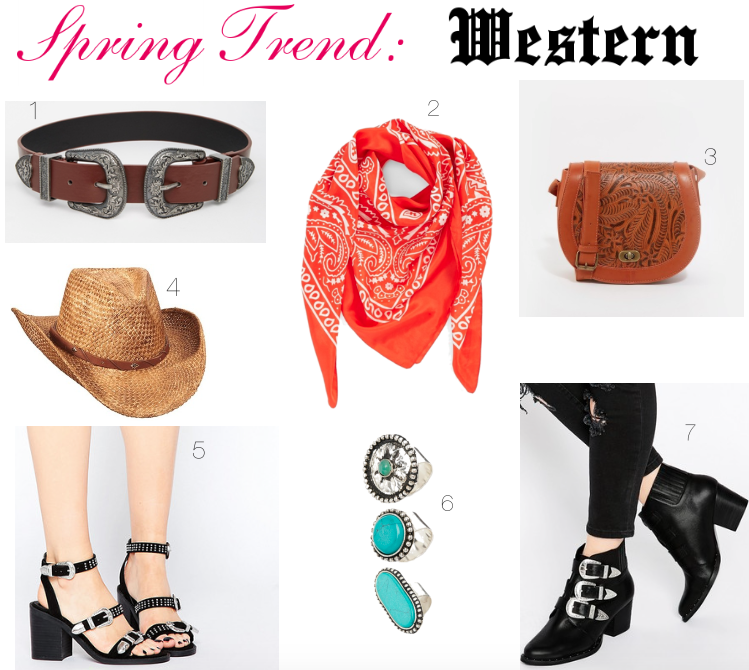 A popular street style inspired trend this season captures all things western and you will most likely spot a lot of your favorite celebs or fashion muses wearing the trend, especially at Coachella! As you already know, I'm a huge fan of retro styles, so I really do love and appreciate vintage (inspired) pieces. I'm especially loving the ones that feature vintage buckle accents, swoon! I love that regardless of your personal style, there's a way to incorporate this trend and make it your own. I'm sure many of you remember the camo western boots I've worn a number of times (here, here & here) demonstrating how versatile this style can be. I currently have my eyes on these buckled sandals, I mean how gorgeous are they?! They could easily be styled with a pair of skinny jeans, dress or skirt- the possibilities are endless and they add that nice touch of edge that I find myself gravitating towards. If the western shoe style or the buckle accents aren't your cup of tea, then you can always opt for a bandana scarf, which is also super trendy and a great way to accessorize a more casual outfit. How do YOU feel about this trend, is it one that you're willing to try this season? Thanks so much for stopping by, my beautiful friends, and I hope you have an amazing day!